Gift Shop - Order Online! The gift shop is located in the schoolhouse foyer, with items for sale in the West and East Rooms as well. 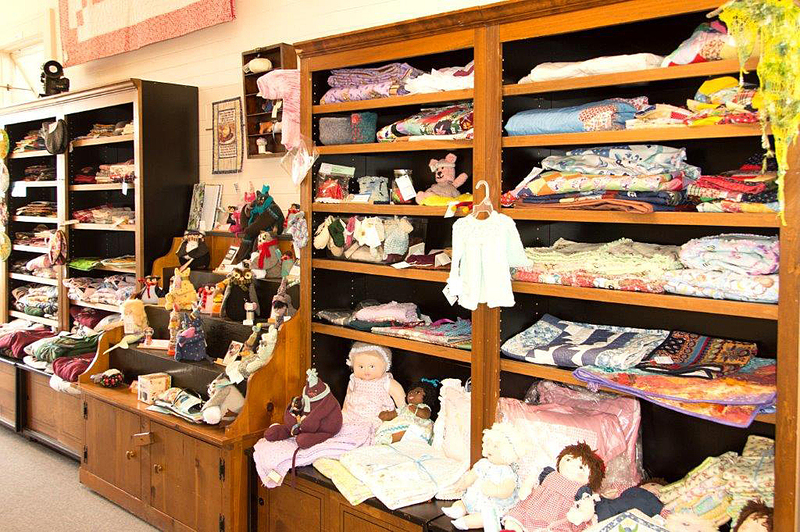 Consignment items for sale in the gift shop have been created by members of the Latimer Quilt and Textile Center. 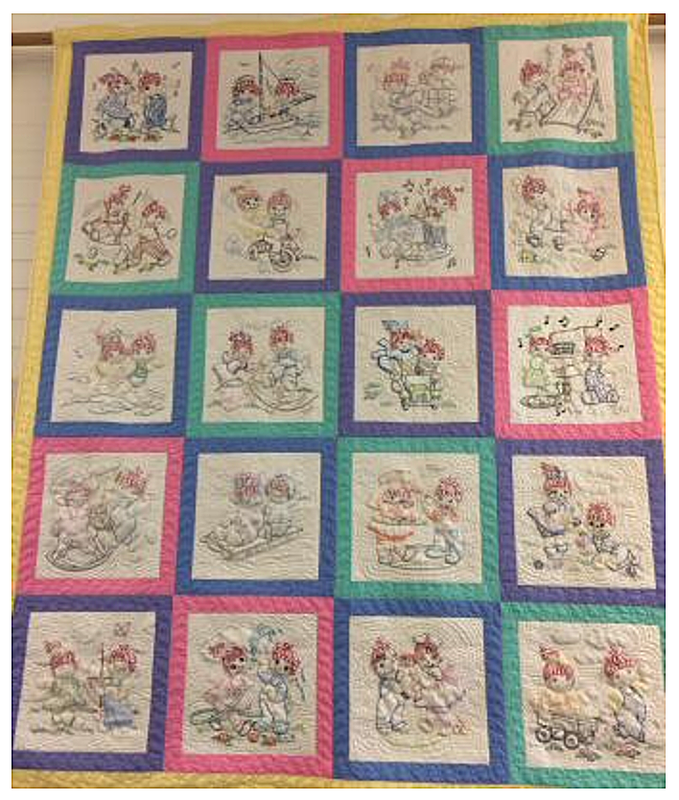 Besides quilts and wall hangings, you may find tatted, beaded, woven, knitted, and spun yarn for sale, as well as many other uniquely handcrafted items. 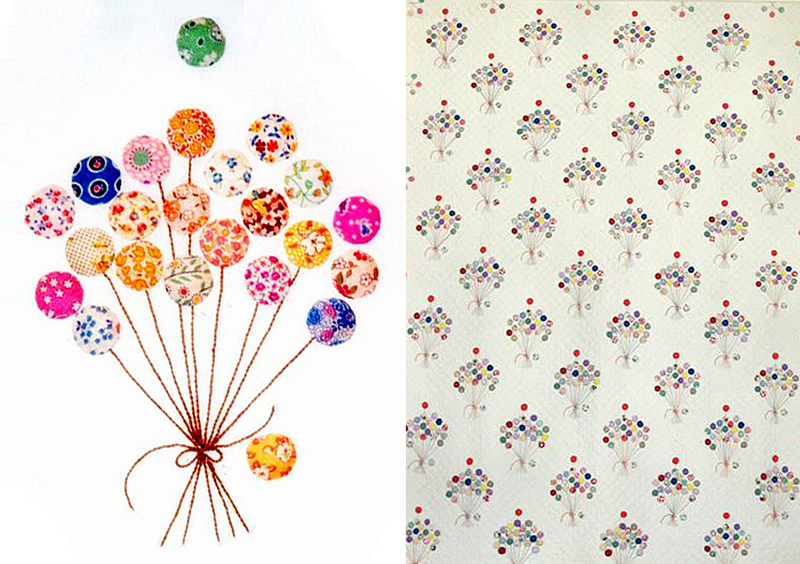 Latimer also sells vintage fabrics, as well as books on quilting and other textile related topics. Some products are available below through PayPal. 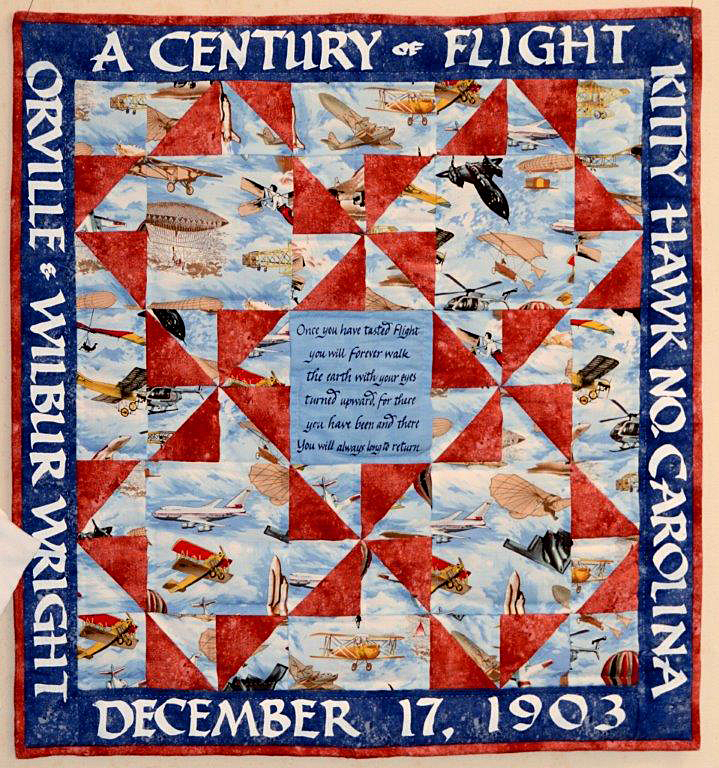 Designed by Jeannie Austin. 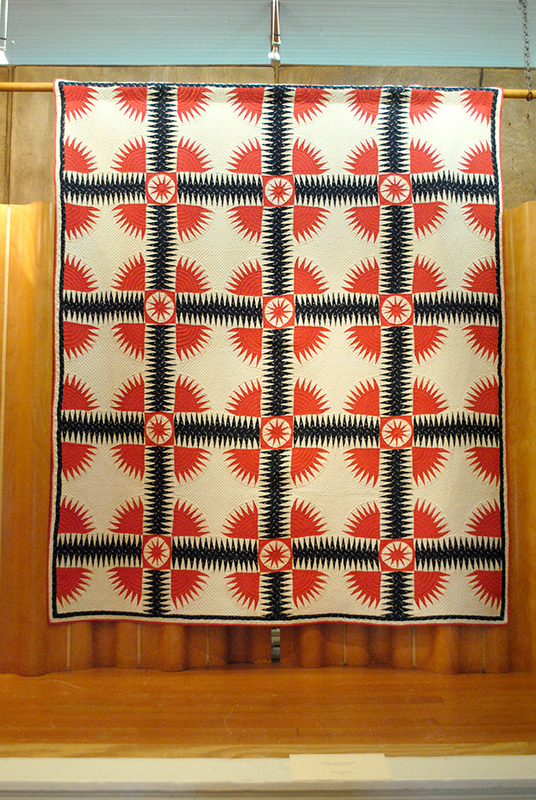 The quilt (right) was made by The Baltimore Album Admiration Society, Puyallup, Washington. 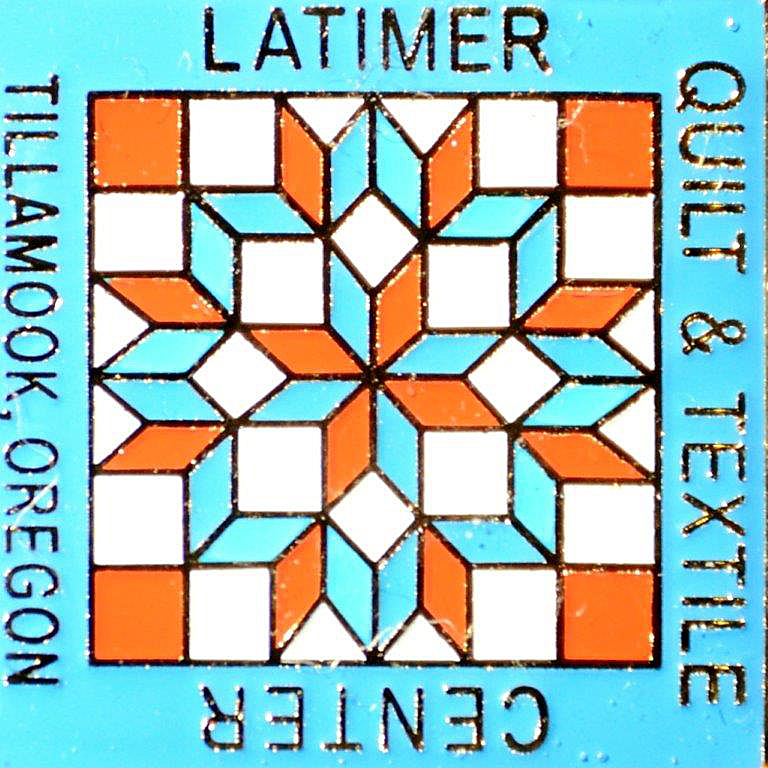 The Latimer Album Quilt was originally planned as a raffle quilt to help raise operating funds for the Latimer Quilt and Textile Center. After the piece was underway, both groups decided that since it was going to be such a special piece, it needed to be added to the Latimer Collection, rather than be given away. 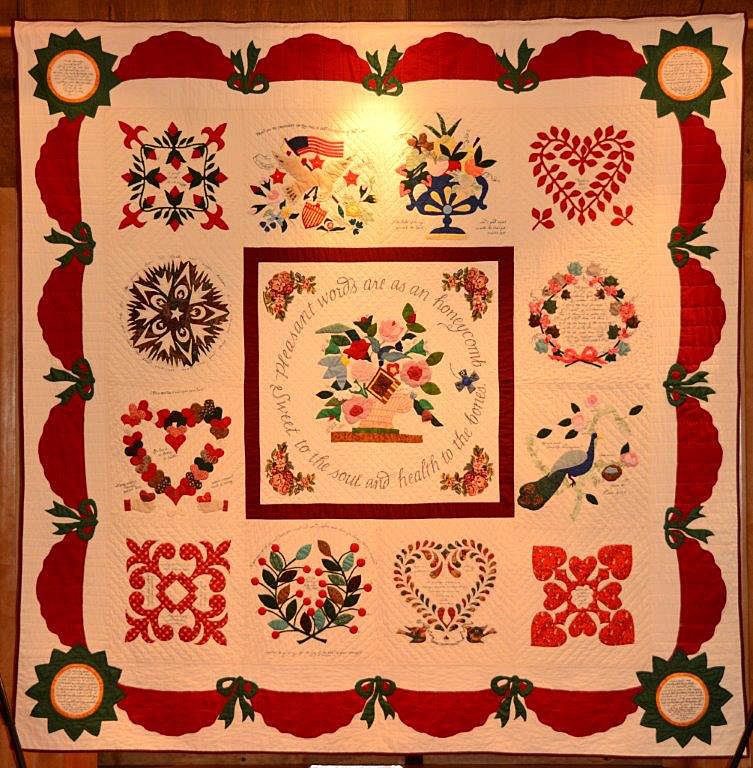 In support of the work of the Latimer Quilt and Textile Center, Jeannie and the Baltimore Album Admiration Society offered the original drawing to be reproduced for sale. 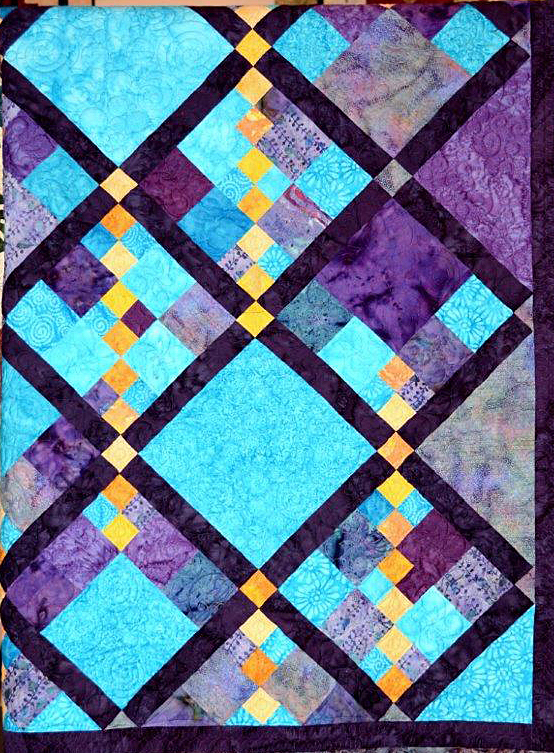 All patterns for the designs in the Latimer Album Quilt are full sized and included herein. 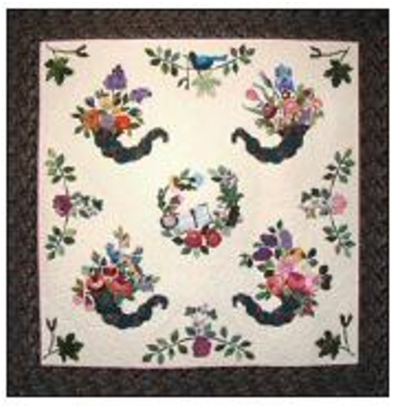 For detailed instructions on Baltimore album appliqué, see Baltimore Album Quilts by Elly Sienkiewicz. The region surrounding the Dalles, Oregon, believed to be one of the most continuously occupied areas in the world, has been a meeting place for thousands of years for Klickitat, Umatilla, Warm Springs and Celilo tribes, Cayuse and Nez Perce from the eastern slopes of the Cascades and coastal and river tribes led by the Chinook traveling from the west. They converged on the barren rocks beside wild waters to fish, trade, visit and gamble. In 1954 a project began to further harness the power of the Columbia River. The Dalles Dam would be built just a few miles east of The Dalles and inundate the spectacular Celilo Falls, rock cliffs, island Indian burial grounds and more. Throughout the area were a wide variety of petroglyphs (drawings carved into rock) that would be under water once The Dalles Dam was completed. Not only Native Americans, but many others mourned their imminent loss. 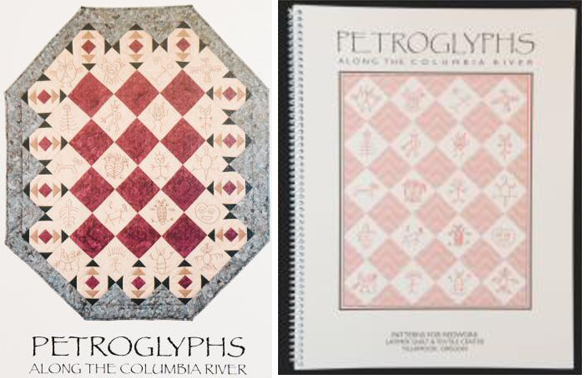 Cecile Colcord hated to think of these petroglyphs being lost forever. She decided to make rubbings of these incredible symbols before it was too late, and made sketches, as well. She concentrated on accuracy in detailing the drawings, trying to record as many as possible. Those drawings are what were used to create this book.